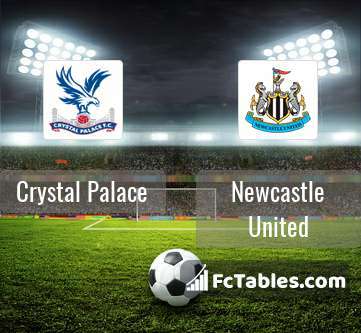 Kick off Crystal Palace-Newcastle United in Premier League on today 14:00. Referee in the match will be Andre Marriner. Team Crystal Palace is located in the middle of the table. (12 place). Form team looks like this: In the last 5 matches (league + cup) gain 6 points. In this season games Premier League the most goals scored players: Wilfried Zaha 3 goals, Jeffrey Schlupp 1 goals. They will have to be well guarded by defense Newcastle United. Players , Jordan Ayew 1 assists will have to be very well guarded by defenders Newcastle United, because they have the most assists. 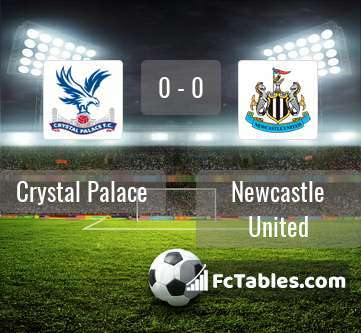 Team Newcastle United is in the releagtion zone of the table. 19 position. Form team looks like this: In the last 5 matches (league + cup) gain 1 points. Leading players Newcastle United in Premier League is: Joselu 2 goals, DeAndre Yedlin 1 goals, Ciaran Clark 1 goals. Players , DeAndre Yedlin 1 assists will have to be very well guarded by defenders Crystal Palace, because they have the most assists. 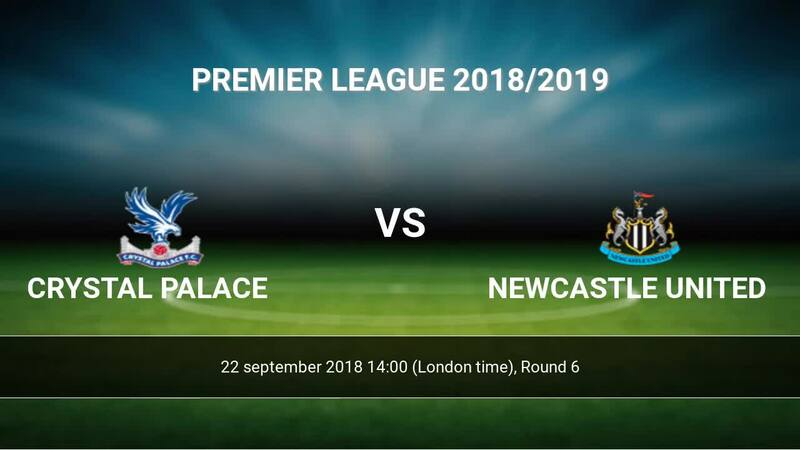 In Newcastle United not occur in the match due to injury: Florian Lejeune. Direct matches: Newcastle United won more direct matches. 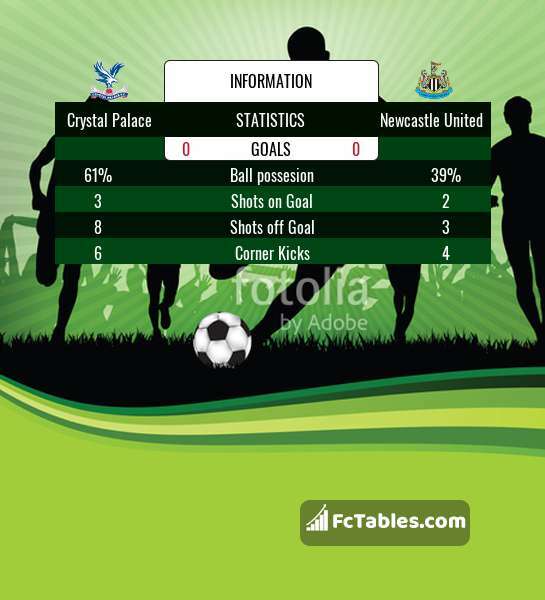 Crystal Palace won 1 matches , Newcastle United won 9 direct matches, was a 4 draws. In 4 matches the sum of the goals both teams was greater than 2.5 (Over 2.5), and 10 matches teams scored more than 1.5 goals (Over 1.5). In 5 matches the both teams scored a least one goal (Both teams to score).